Responsible for the conception, development and production of original television programming that will follow the company’s model of commercial and socially relevant entertainment, Evan Shapiro joined Participant Media in 2012 as President of Pivot, where he already has an impressive list of programming scheduled for the new network. After rebranding IFC TV and Sundance Channel and steering them both into compelling original programming, Shapiro brings an exciting and innovative vision to Pivot that definitely makes it a network to keep an eye on. During this recent exclusive interview with Collider, Evan Shapiro talked about how Pivot came about, what it was like to get the network going, how his background has prepared him for where he is today, deciding which programming to showcase, and the impressive list of talent that has brought ideas to him. He also outlined what viewers can expect from Josh Thomas’ dramedy Please Like Me, Meghan McCain’s docu-talk series Raising McCain (premiering September 14th), Hit RECord on TV (premiering in 2014) from Joseph Gordon-Levitt and the nightly talk show Take Part Live, along with future plans for a period piece about William Shakespeare. Check out what he had to say after the jump. Collider: How did this network come about? What sort of undertaking was it to get everything going? EVAN SHAPIRO: We did it in 12 months. It all came about when I was thinking about the next thing I wanted to do with my life, after running IFC and Sundance for a number of years. Not that I didn’t love those jobs, but when one hits their middle 40s, they start to think about what the next 10 years looks like. And I teach an undergrad class at NYU in television, and the kids make me rethink the industry, every single time I talk to them. In talking to them and doing final projects, a couple years ago, I really started to rethink the way television should be. I came up with a concept of distribution that we launched with Pivot, and then I met with the folks at Participant who had similar ambitions and were really dedicated to the idea that entertainment can help create change. And I have a deep background of activism myself, so it just was kismet. It was the perfect storm, working for a company that’s dedicated to helping make change in the world, but doing so in an entertaining way. How often do you get to do that? Frankly, going to work for a private company that isn’t connected to a multi-national media corporation really created the kind of freedom to run that something like this needed. Is this something you couldn’t have done without the background that you have? SHAPIRO: I’m a big believer in karma, and everything you do adds to the path that you’re on. I think that everything from working in non-profit theater in New York in the ‘90s, to working on Court TV and rebranding that network around forensics, to rebranding IFC and Sundance Channel and taking them to original programming and taking IFC ad-supported, and then teaching at NYU and working with an organization on the board. All of that prepared me for today. How do you decide the programming that you want to showcase? SHAPIRO: We make every decision from the point of view of the audience. We went out and did about 3,200 interviews last summer, and we did ethnographies and focus groups all around the country. We really wanted to do more than just try to understand the Millennial Generation. We wanted to get them. So, we take everything from their point of view. They told us what they wanted, and what they wanted wasn’t one thing. They want a wide range of things. So, we went looking for many different genres that allowed us to speak to them in the different mind-sets they have on different days. And then, Joe [Gordon-Levitt] walked in the door with an idea, and Meghan [McCain] walked in the door with an idea, and Josh [Thomas] walked in the door with a show (Please Like Me), and I went back into my history and hooked up with the folks from Brick City to create Jersey Strong (premiering on September 14th), and my daughter gave me the idea to go get Friday Night Lights. Inspiration comes from many different places, but knowing who you are is really the first step. How did talent know to come to you with ideas? SHAPIRO: The way Hollywood works is that you start to put the word out. The agencies know it and they start to call you up. But, the reality was that being at Participant was the reason these people came to us. In the industry, after the last decade, people love this company. Not everybody in the consumer world knows who Participant Media is, but in the business, everybody knows them, everybody knows Jeff Skoll and everybody adores them because of what we try to do, which is this socially relevant, inspirational, commercially viable entertainment. Everybody wants to try to do that, and it’s really gratifying. It creates a queue of talent that is like nothing else. It’s pretty impressive. Were you shocked when you had people of this level coming to you? SHAPIRO: Yeah, at first, I was. That was surprising and gratifying. But, the combination of when we announced Participant and everything they’ve done, and me and my background at IFC with things like Portlandia, it just caught everybody’s attention. The television business is great, but there’s so much duplication of ideas that the original ideas can’t find footing, oftentimes. There aren’t that many places to take original ideas like Hit RECord on TV. 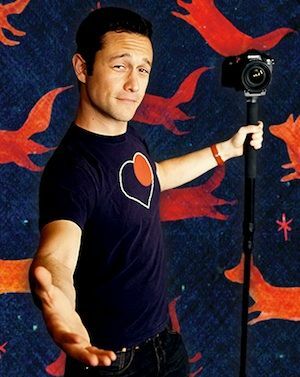 Joe [Gordon-Levitt] could have sold that to someone else, but as he will tell you, not a lot of people would actually let him make it, the way that it’s being made. It’s the same thing with Meghan [McCain]. Imagine what would have happened to Meghan, if she went to Bravo or MSNBC. What show would that have been? The show that we’re making with her is exactly who Meghan is. Good, bad or indifferent, it’s gratifying to be able to be transparent, honest and authentic, in that way. Did anyone come to you with an idea that you didn’t think was right yet, but that you’ve put on hold until later on? SHAPIRO: Yeah, we have a ton of stuff in development that’s mostly big scripted stuff. We want to be a little bit more mature, as a marketer, before we take that kind of swing. We have a big scripted drama set for next year about William Shakespeare. It’s a period piece that’s really expensive. We get a lot of pitches for these earnest save-the-trees kind of shows that people have tried. There was a whole channel dedicated to that. But, that’s too expected from us. That’s why we really wanted to launch with a comedy. What can you say about the shows that you have decided to launch with? SHAPIRO: Please Like Me is this perfect snowflake of a show. It’s a comedy about coming out. It’s like nothing else I’ve ever seen. Josh’s voice is one of those voices where, the second you hear it, you go, “That’s going to be somebody. That’s a star.” So, if you’re in your 20s or you know people in their 20s, you’re going to see his real life told through the prism of a comedy, in a way that carries an enormous amount of truth and is this generation, in a nutshell. It’s tremendous. Take Part Live is this great nightly talk show with two tremendous talents – Jacob Soboroff and Cara Santa Maria – that is meant to both make you laugh and really help you decode the misinformation of everything that’s going on in the world. We get hundreds of thousands of Tweets, just shoved down our throats, every single day. The vast majority of people in the Millennial Generation say that they don’t know what’s reliable information and what’s not. Many of them, “I’ve Tweeted stuff before I vetted the source.” We take the stuff that’s trending all day, and we decode it for you. In Jacob and Cara, what you have is credible, disruptive, intelligent journalists who are also kind of hot and really, really clever and very funny, and they have great chemistry. It’s like the coolest coffee shop in New York or L.A., that everybody around the country gets to go hang out in and have serious, cool, funny, irreverent, chaotic conversations about what happened that day. And what can people expect from Meghan McCain and Joseph Gordon-Levitt?